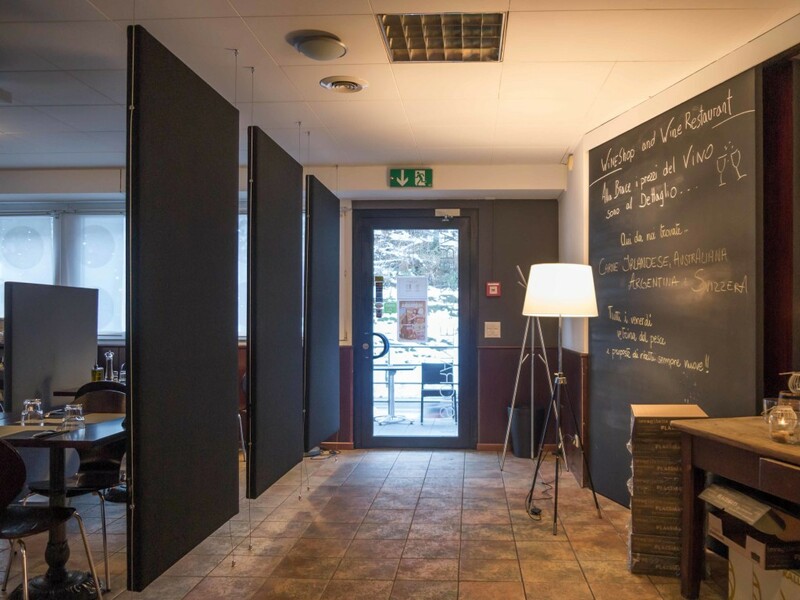 The Double Side “DS” panels are sound absorbing panels composed by metal structures and coated with textile on both sides; they are made for ceiling application (vertically) and as a room divider. On request an insulating sheath can be added inside the panel. 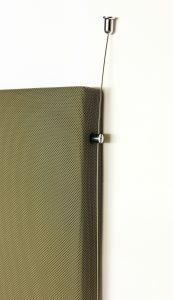 (2 hooks and 4 hangs per panel). 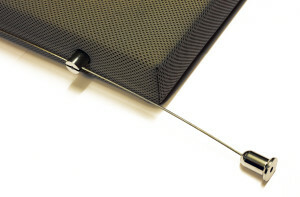 Hooks kit for room divider installation (2 hooks on ceiling, 4 hangs on the panel, and 2 hooks on the floor).